Median price of single family homes takes a 6 percent swing upward from February. 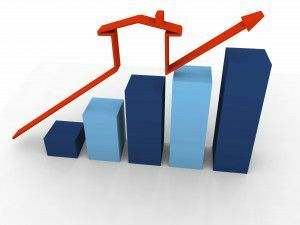 The Santa Clarita real estate market showed signs of a continued rebound when statistics recently released from the Southland Regional Association of Realtors showed the median price of a single family home reached $520,000 in the SCV in March. This represents a slightly higher than 6 percent median equity increase over the previous month. To put it more plainly: Single family home prices rose $30,000 in one month! In fact, home prices have risen nearly $60,000 since March of 2014, which begs the question yet again: What other investment can you make that will net you an equitable return of this magnitude in 12 months? Leveraging your money to leverage equity. Say, for example, you purchased a home in Santa Clarita in March of 2014 for the median price of $462,000. Now, if you obtained what we call a conventional fixed-rate mortgage using a 20 percent down payment ($92,400), then in one year you’ve technically made back nearly 2/3 of your cash investment. But let’s say you’ve taken advantage of a loan program that got you into this home using only 3 percent as a down payment ($13,860). In one year, you not only recouped your down payment expense, but you have also quadrupled your investment in the form of equity. Now, many buyers are not in the housing market for short term gains, and there are risks involved for those who are. However, when you think about the positive financial aspects of buying a home that you plan on living in for the unforseeable future, you can really begin to understand the low-risk value that comes with property ownership. In fact, despite the short term losses in the Santa Clarita real estate market between the years 2008-2011 as a result of the national economic recession, overall, real estate in this valley has averaged in grown over 6% per year since 1998. Again, in the long term, real estate is a very safe bet. What’s your real estate plan? Whether you’re looking to leverage real estate as a short-to-medium term investment, or plan on staying for the long run, the team at Montemayor & Associates are highly trained, knowledgeable, and ready to help you realize all of your real estate goals.